Acceptable: everyone must accept it as a form of payment at its set value. Portable: it must be easily carried without being bulky or heavy. Durable: it must last for a long time and withstand much use without devaluing. Many countries are making plasticized bank notes now in an effort to increase their durability. Divisible: it must be easily divided in small denominations to make it suitable for all types of transactions. Scarce: it must be limited in its supply or it will quickly lose value and become worthless. For money to be successful it needs to perform several key functions or purposes. Medium of exchange: this means that it must enable people to sell products for money and then take that money to another seller and use it to buy products. Measure of value: money must have a value in relation to all other products. This solves one of the problems with barter - since it enables producers to know the value of their product in relation only to money – rather than all other products. Store of value: money must not devalue (inflation aside). If a producer receives $10 for their produce today they know that in a month that $10 note will still be worth $10. This solves another problem of barter – an apple grower previously had the problem of apples going bad relatively quickly and losing their value. Deferred payment: this enables lending and borrowing. Money should be able to be borrowed and repaid later, and goods bought and paid for at a later date. The fixed value of money allows deals to be negotiated and the lender to know exactly what they are getting at the later date. Central banks act as the government’s bank and are not accessible for individuals and businesses (except commercial banks). The Government’s tax receipts go into the central bank and its holds any gold and foreign currency reserves the government has. They print the notes and coins. They set the base rate of interest; this can be a powerful tool in managing the economy. Central banks also play a very important role in regulating commercial banks and making sure that the banking system is functioning correctly. In a financial emergency a central bank can act as a lender of last resort to a commercial bank that is in trouble. Checking/current accounts: this is a standard account for depositing money in that allows you to access the money instantly if you need it. Due to the flexibility of this type of account the interest rates are usually very low. Savings accounts: higher interest rates but customers don’t have an ATM card for withdrawing cash instantly. Overdrafts: a pre-agreed debt facility which allows customers to spend more than they have in their account. 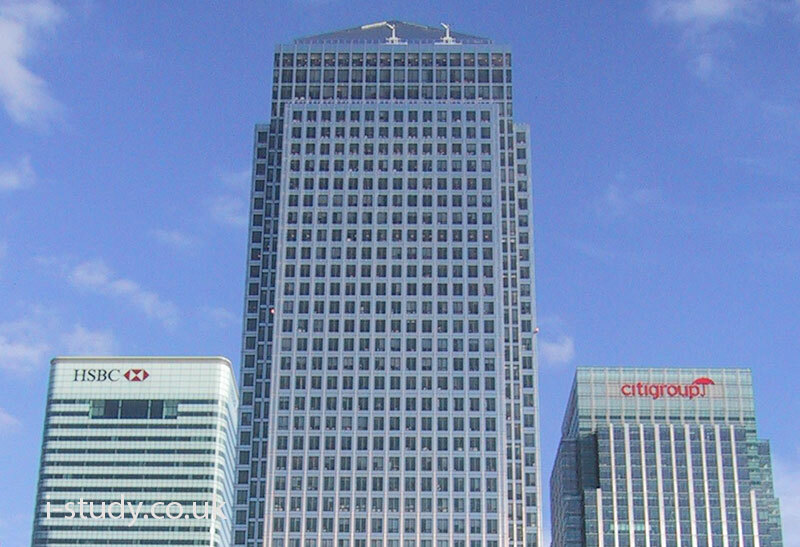 Loans and mortgages: commercial banks offer a range of loans and mortgages that vary in the amount lent and the timescale for repayment. Credit cards: most commercial banks have a link with a credit card company such as Visa or Mastercard and link these to your bank account. Stock exchanges play an important role in economies since they facilitate the buying and selling of shares in Public Limited Companies. This enables companies to raise capital for investment. 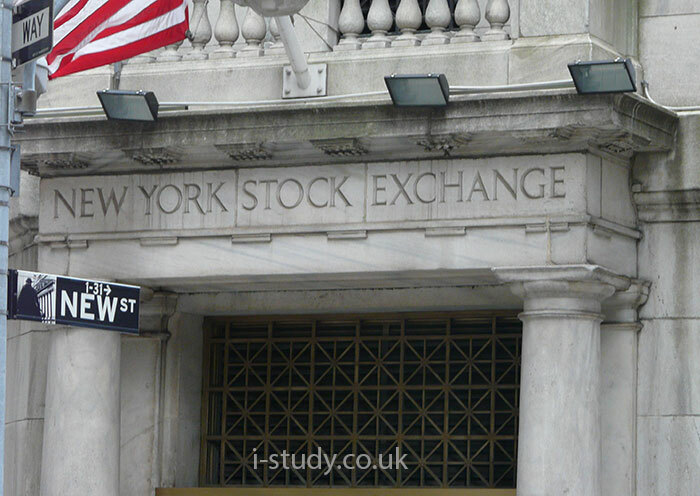 Stock exchanges regulate the selling of shares and provide a secure marketplace. Only Public Limited Companies can trade shares on the stock exchange. To buy and sell shares companies and individuals must use a stockbroker. A stockbroker is someone who is registered to trade in the stock exchange on behalf of clients. Dividend payments: these are financial payments to all shareholders by the company from some of the profits it has made. Gaining control of the company: big investors and companies may use the stock exchange to buy significant proportions of a company to gain influence in its management decisions or even to completely purchase it. Generally the higher the amount of money offered as pay, the more attractive the job is likely to be. The method of payment and performance incentives are also likely to influence the decision. Salary: This is a pre-agreed total for the year, split into monthly sections. Because it is a set amount of money it does not depend on the hours worked – this may be a good or bad thing. Advantages of a salary are that it gives security and people can make plans based on the monthly income. Wage: this is when workers’ pay is based on the number of hours they work at an agreed hourly rate. This has the advantage that workers may be able to do extra hours and increase their income. Piece rate: this is when workers’ pay is based on their production. Often found in primary agriculture at harvest time. 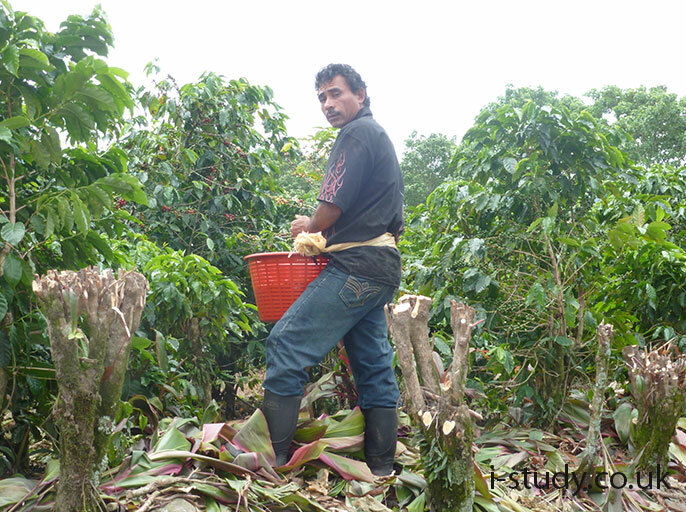 Coffee pickers are paid based on the weight of coffee cherries that they pick per day. If a worker is efficient they can make more money. Commission: this is a method of pay that is often found in sales jobs. Usually the basic salary/ wage is very low but the employee will receive a percentage of the value of the sales they make. Bonuses: these are financial rewards for good performance. These have the potential to significantly increase the yearly pay. Geographical location: the proximity to the where the worker lives is likely to be important since longer journeys to work cost time and money. Working hours: the number of hours required to work is important. But the timing of the shift is often also very important. Some jobs require night shifts or weekend shifts. Working conditions: the physical demands of the job and the working environment are often important. Job satisfaction: will the job stimulate the interest and provides a sense achievement. Holiday entitlement: how many holiday days are provided? Some professions such as teaching have very favourable holiday provision. Some countries offer more holiday entitlement than others. Pension provision: jobs that have a company pension scheme and one that offers a good pension on retirement are an attractive prospect. Trade unions are organisations that represent workers’ rights. Workers become a member a trade union and then the union will negotiate with employers for improved working conditions, working hours and pay increases. The NUT (National Union of Teachers) and Unison are examples of strong trade unions in the UK. Trade unions are effective since they often represent a significant proportion of a firms workers. This gives them more influence than if individual workers negotiated separately. The representation of many workers is called collective bargaining. It also benefits employers since they can deal with a much smaller number of people in making decisions that affect the entire workforce. If wages levels are pushed too high and not matched by an increase in productivity then this will increase costs for the firm and make it less competitive. This may lead to unemployment – which would be against the interests of the trade union and its workers. It is possible for trade unions to try and raise the wages for its members through restricting the supply of workers. This can be achieved by requiring specialist certifications or qualifications. Its members refuse to work any overtime hours, or even go on strike (refusing to come into work at all). Trade unions need to be relaistic since theur actions may also be damaging to the workers since they may find the firm retaliates in some way (through loss of benefits or future unemployment for example). Specialisation in the sense of individuals refers to the worker focusing their training and experience on a specific part of the production process. Highly skilled specialisation: When workers want to obtain a highly specialized job they are likely to need extensive training. This may require extras years in education at universities, or it may be professional training received whilst working. Jobs often offer high wages, job satisfaction, good working conditions and more job security since they are difficult to replace. Workers may specialise in much lower skilled tasks. Some, such as hair-dressing, may provide much job satisfaction and a reasonable wage level. Production lines in factories: workers perform the same unskilled tasks over and over again. 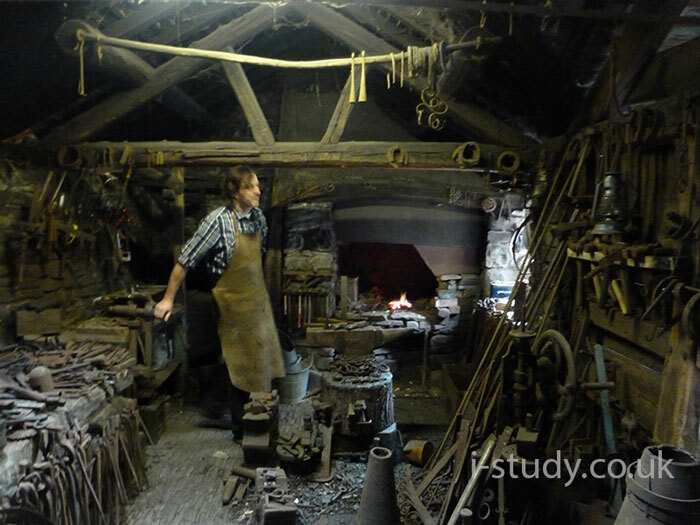 This form of specialization is often low paid and has little sense of job satisfaction. With low skilled specialization it is relatively easy for the worker to be replaced and so job security may be low. Target saving: saving for future purchase such as a car, a house or maybe a TV. Contingency saving: many people save to have a sum of money to fall back on in the case of an emergency or unforeseen event. Medical bills, car repairs etc. Retirement saving: pension plans and specialist saving accounts are often used to save for the time when there is no longer an income from working. Those on low wages will inevitably spend a large proportion of their income on necessities. This leaves little money for luxuries and saving. People receiving higher incomes are unlikely to spend significantly more on the necessities and subsequently have a larger proportion of their income available for saving. Borrowing money is likely to feature in most people’s lives at some point. Most people borrowmoney to buy their first house. Others borrow money more frequently to purchase smaller items such as cars and to pay for holidays. Interest rates affect borrowing. These represent the cost of borrowing money. If interest rates are it will dissuade people for borrowing money since the repayments will be high. If however interest rates are low then borrowing becomes cheap and many people will be enticed to buy now and pay later through borrowing. Peoples’ motivation for spending is usually linked to the level of disposable income that they have. If disposable income decreases for any reason, people are likely to reduce their level of spending. Interest rates often affect spending. If interest rates are rising or high, loans become expensive and people are unlikely to borrow money for large purchases. If interest rates are low or credit is easy to obtain people are likely to increase their expenditure level. High income groups are likely to spend a larger amount than lower income groups, but importantly this larger amount usually represents a lower proportion of their income. Someone who receives double the income of another person is unlikely to consume twice as much food, water and electricity. This leaves them with more income to save and/or spend on luxuries of they wish.